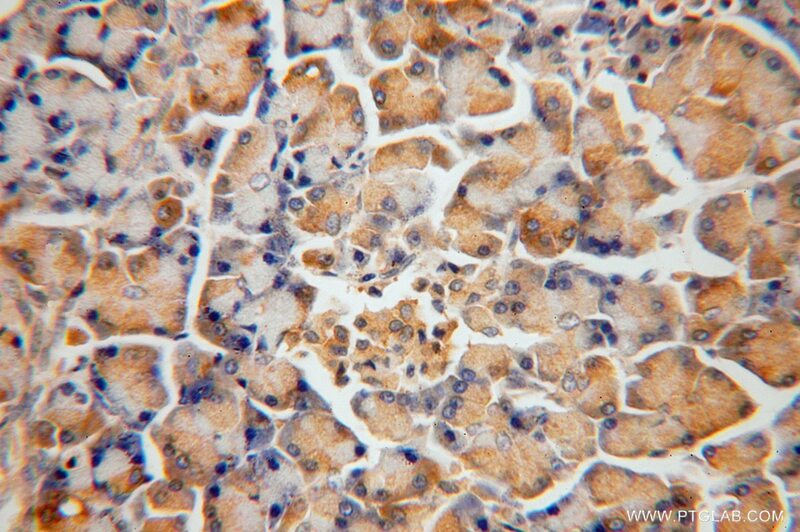 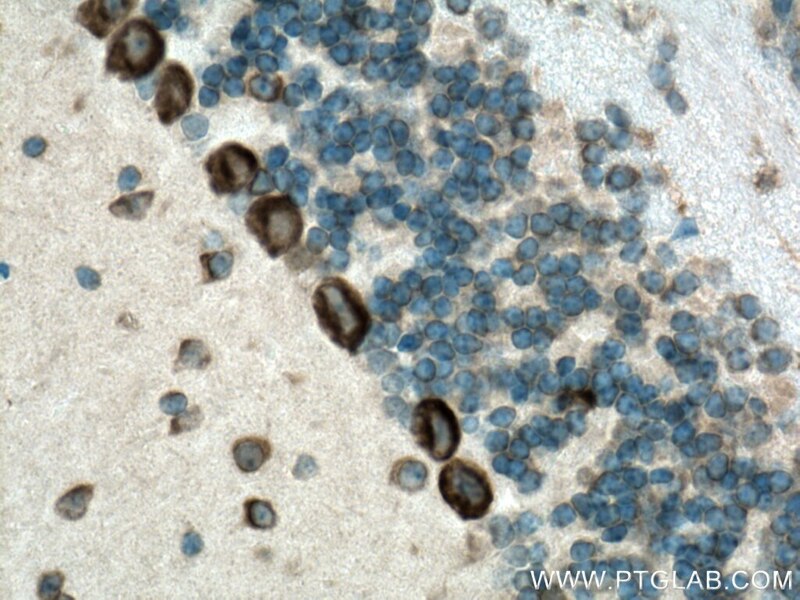 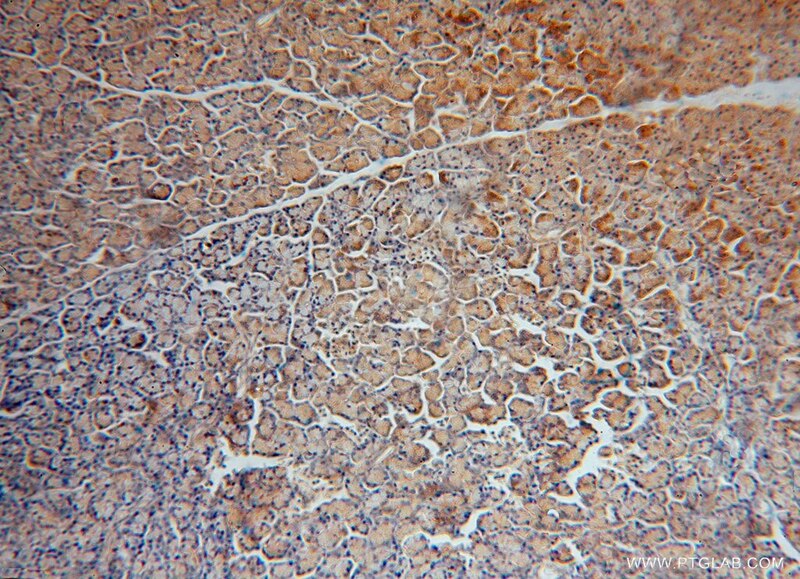 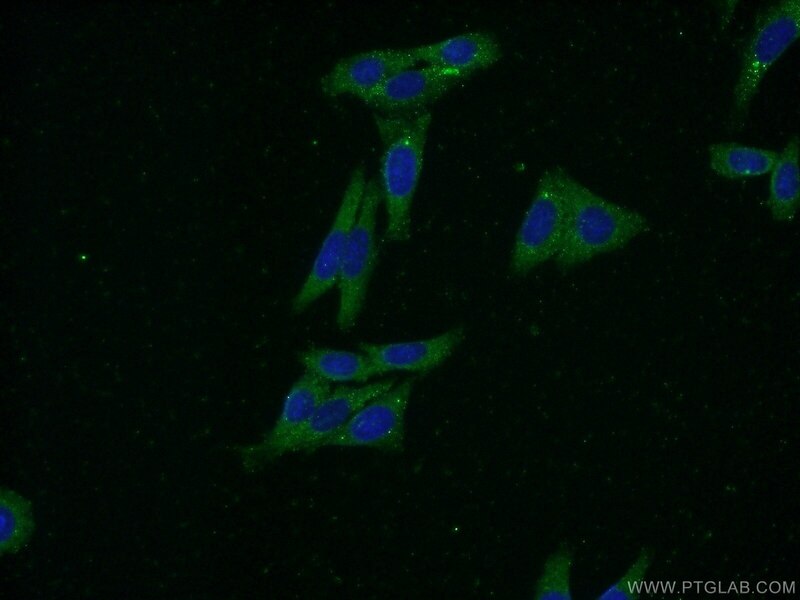 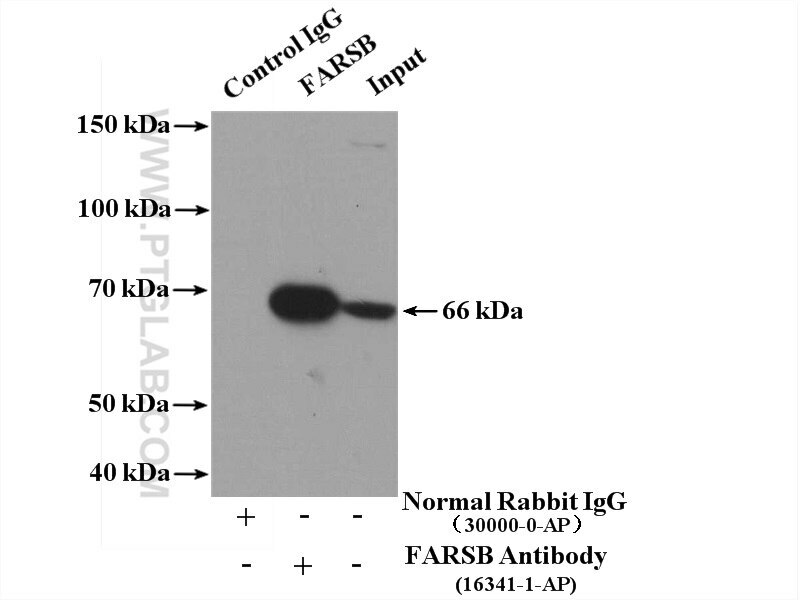 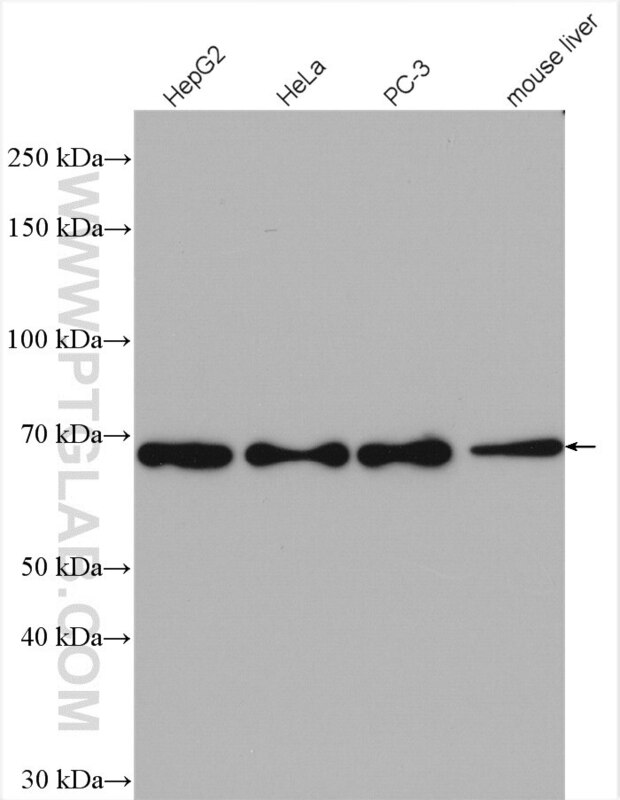 IP Result of anti-FARSB (IP:16341-1-AP, 4ug; Detection:16341-1-AP 1:500) with HeLa cells lysate 4000ug. 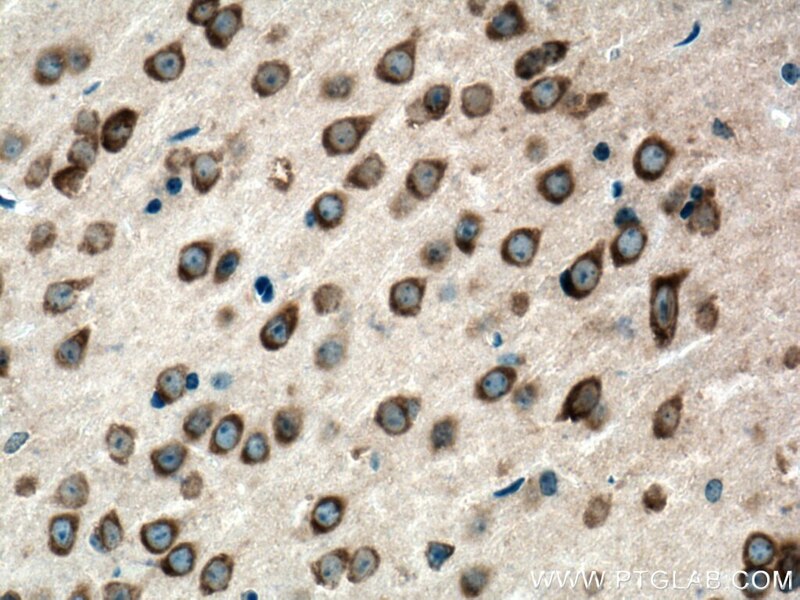 Immunohistochemical analysis of paraffin-embedded mouse brain tissue slide using 16341-1-AP (FARSB antibody) at dilution of 1:400 (under 10x lens) heat mediated antigen retrieved with Tris-EDTA buffer(pH9). 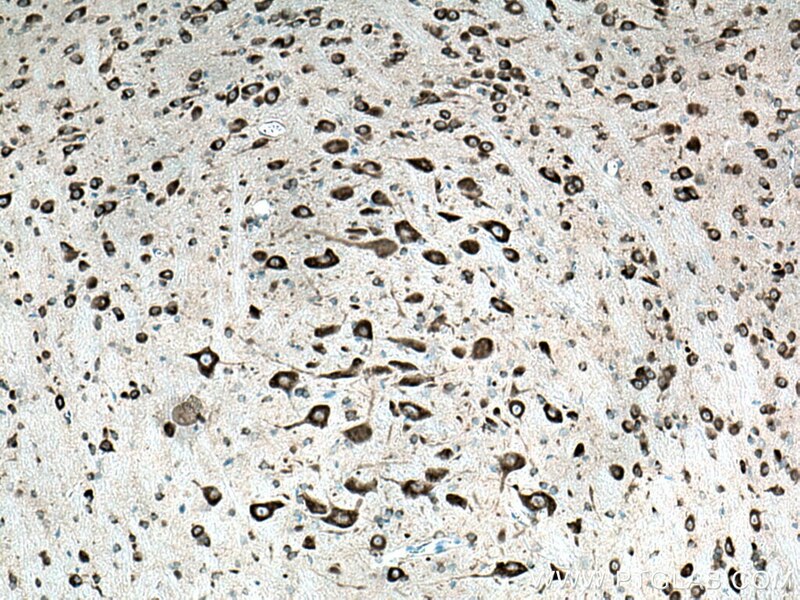 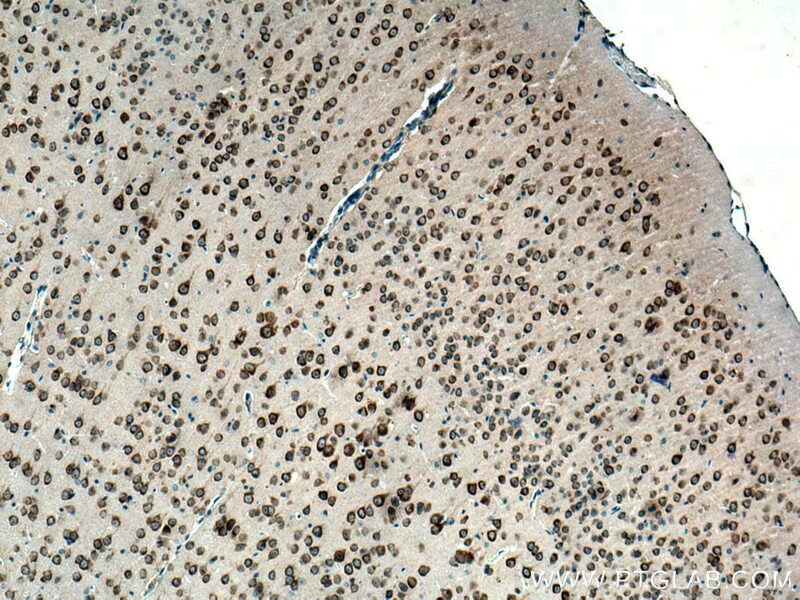 Immunohistochemical analysis of paraffin-embedded mouse brain tissue slide using 16341-1-AP (FARSB antibody) at dilution of 1:400 (under 40x lens) heat mediated antigen retrieved with Tris-EDTA buffer(pH9). 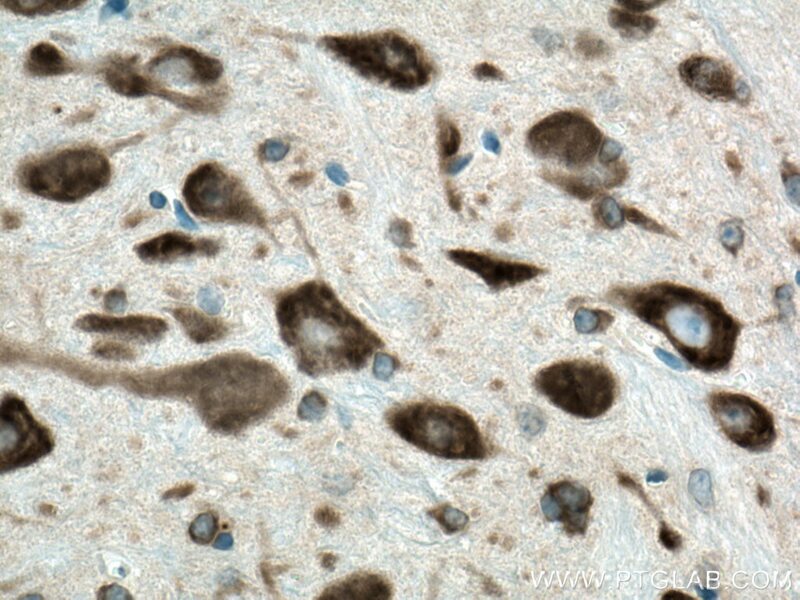 A novel therapeutic target for peripheral nerve injury-related diseases: aminoacyl-tRNA synthetases. 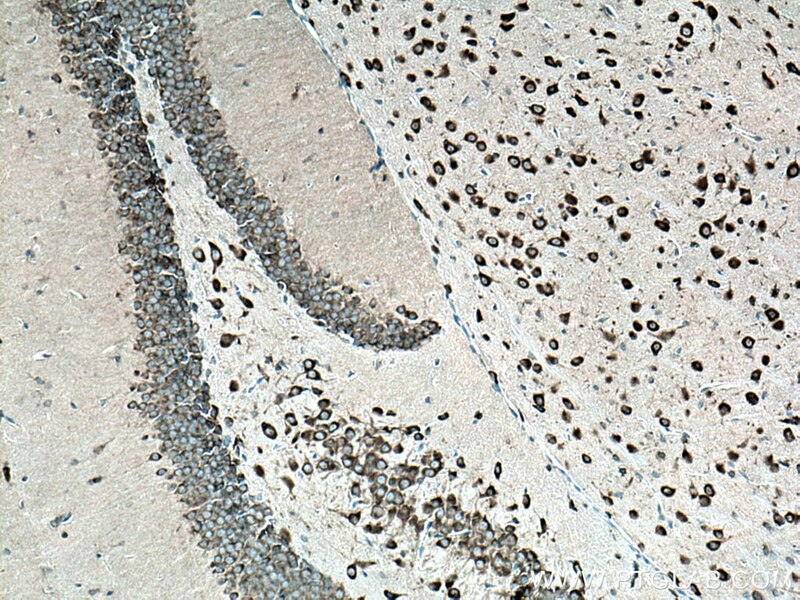 Immunohistochemical analysis of paraffin-embedded mouse cerebellum tissue slide using 16341-1-AP (FARSB antibody) at dilution of 1:400 (under 10x lens) heat mediated antigen retrieved with Tris-EDTA buffer(pH9). 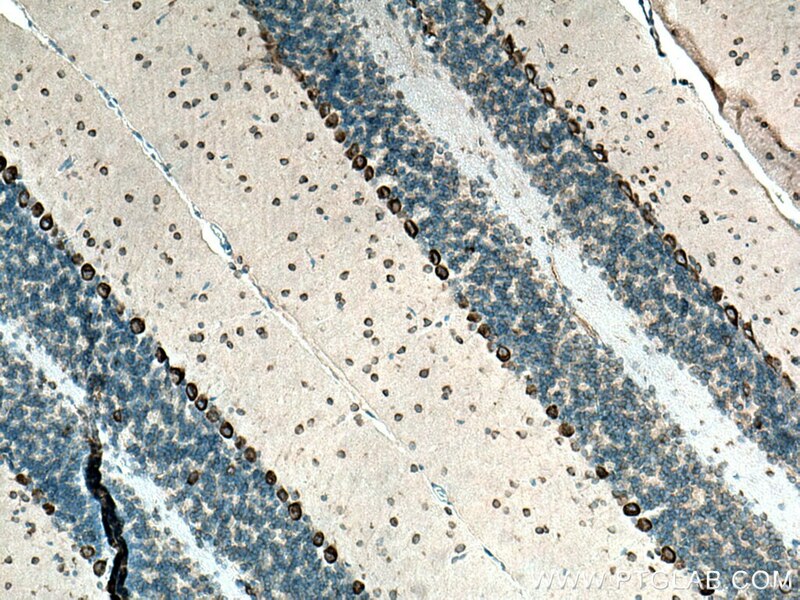 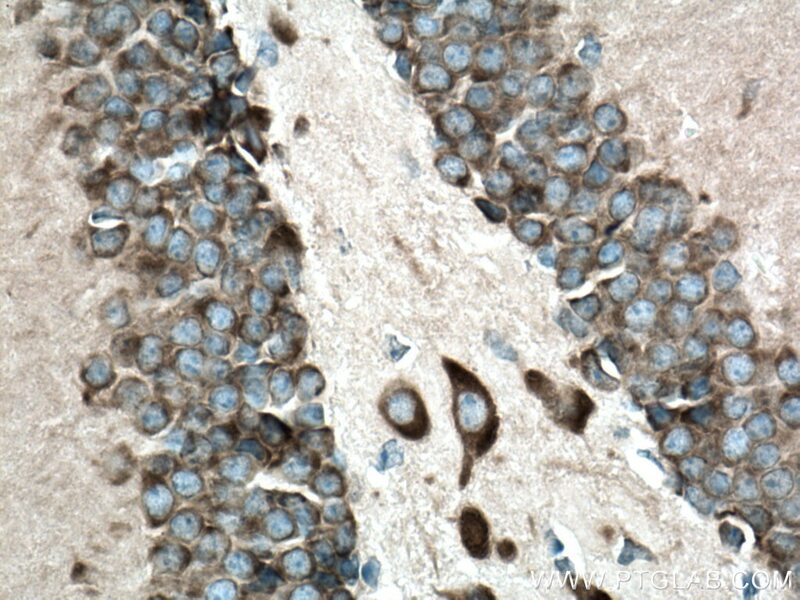 Immunohistochemical analysis of paraffin-embedded mouse cerebellum tissue slide using 16341-1-AP (FARSB antibody) at dilution of 1:400 (under 40x lens) heat mediated antigen retrieved with Tris-EDTA buffer(pH9).